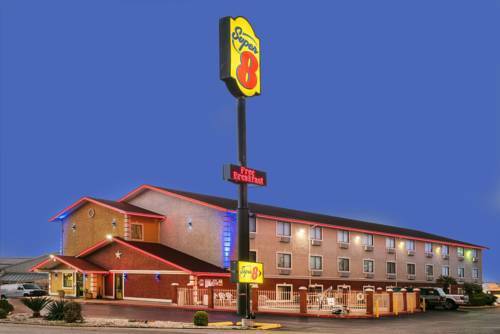 The Super 8 San Antonio/I-35 is centrally located to all of San Antonios major attractions. We offer Complimentary Superstart Breakfast with hot waffles, Free High Speed Internet Access, Outdoor Pool. All rooms feature an Alarm Clock, Coffeemaker, Hairdryer and Cable TV with Showtime. Micro/fridge, Irons and Ironing Boards available. Whether on business or pleasure let the Super 8 San Antonio/I-35 North be your home away from home while in San Antonio. ~11 miles from San Antonio.